$20 per year, the club offers comprehensive after school programs, a broad range of educational and character development programs, aquatic programs, sports leagues, college scholarships, and summer camp adventures. The original swimming pool, built in 1939, was no long structurally sound and facing physical obsolescence. 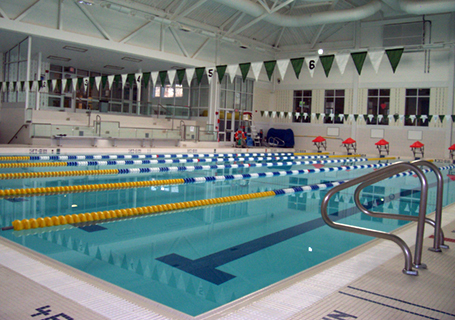 The team of Counsilman-Hunsaker and Mark B. Thompson Associates was commissioned by the Greenwich Boys and Girls Club to design a high-quality aquatic facility that would support the athletic and recreational needs of the club and community. As a result, a six lane 25-meter pool with recessed stairs was designed for the Barracuda’s swim meets, family swim instruction, and ongoing community recreation use.